Larger Project 2-10, Dining Room » Roger Perron Inc. 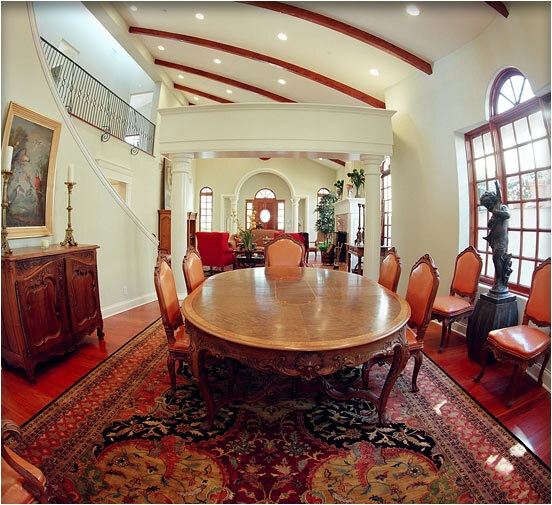 This photo shows the dining room with the front door beyond. The hardwood flooring is Brazilian cherry with a natural finish. The beams are distressed fir with a medium color stain.